Organically grown seeds. 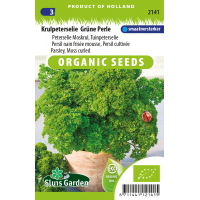 Grüne Perle is a fine selection for cultivating in the garden and in pots. Can overwinter well due to its low propensity to run to seed. Fine flavour, attractive colour and healthy plant. When harvesting the leaves, do not cut away the heart of the plant. This will allow multiple harvests. When the plant begins to flower, the parsley loses much of its flavour. Sow in a greenhouse or in the garden in rows. Often germinates slowly. After sowing keep the soil moist and free of weeds. 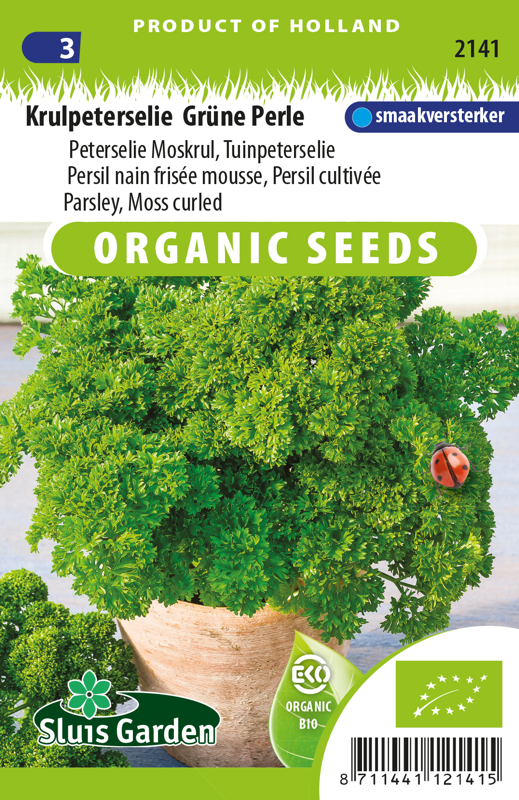 Excellent in pots, containers etc.